Intended for the knowledgeable amateur as well as the neophyte, this catalogue invites you all to a journey through the automobile panorama of the year 1939. 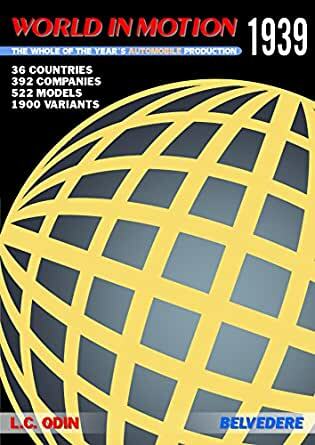 Country by country, brand by brand, model by model, each car is presented with the same utmost care for details and accuracy along the 300 pages of this volume, filled with facts and lavishly illustrated by 700 period documents. Never before a book dedicated to this topic had gathered such a wealth of information! 36 countries, covering major producers as well as exotic assembly operations on all continents. 249 automobile manufacturers and their subsidiaries, along with 143 specialist coachbuilders and their unique creations. An overview of the racing season, covering more than 150 motor sports events.